Perhaps you are without yacht, or still on the hunt for absolutely the right one that ticks all the boxes? Or maybe you are merely wistfully looking out at the Solent waters because your yacht is sunning herself in warmer climes? Here at Berthon, a number of our berths are home to charter yachts of numerous shapes, sizes and hues and the summer season has seen them busy with their programmes, returning to Berthon between adventures. Many continue to offer days or weeks afloat during the autumn and winter months as well. 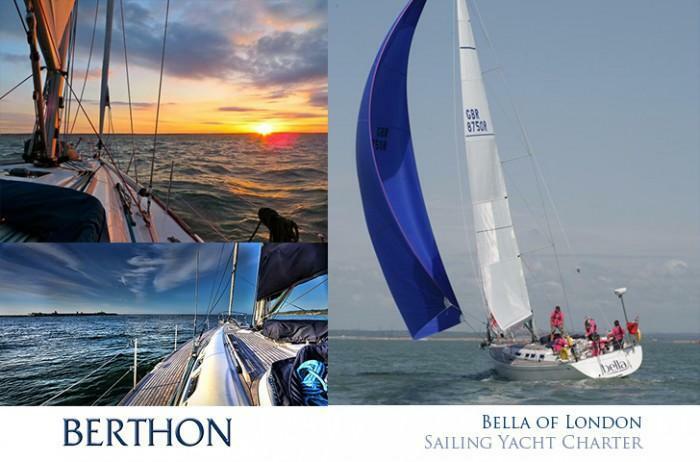 Sea Jays is a well-known RYA training school based at Berthon with 3 yachts in the fleet. You can join them with other aspiring sailors and learn the ropes or train and pass RYA qualifications using their expert tuition. Sea Jays will also charter their yachts bareboat for Solent and coastal passages to qualified and experienced sailors. All yachts are MCA compliant and Sea Jays can provide foul weather gear and other sailing top tips to make your sailing safer and simpler. 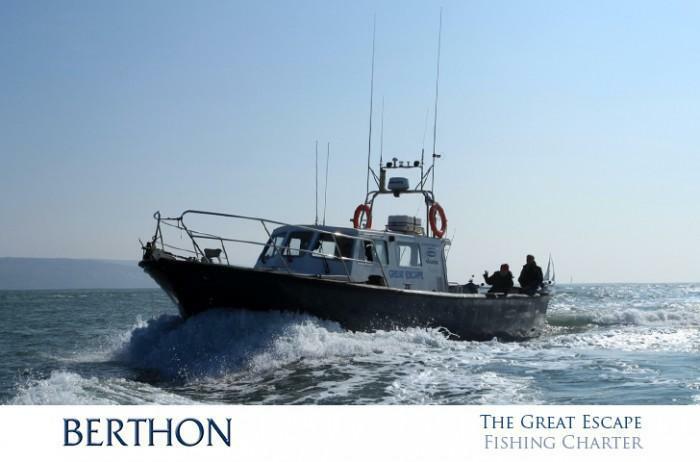 The sea school also has a fast rib which is available for charter with a skipper. Contact the school who will arrange the best programme for you. At 23m, and large enough to cater for up to 40 guests, RUM JUNGLE is the ideal platform for a corporate day out or a luxury cruise. RUM JUNGLE is run by a dedicated and experienced team who can cater for the most discerning tastes. This motor yacht is a familiar sight on the Solent as she is one of the most successful charter yachts in the UK. Styled in a classic mode the warm interior is pure elegance and comfort. The deck areas and saloon are spacious and this vessel is suitable for all weathers. Day rates are negotiable according to requirement and the Captain and crew will help you design the perfect day out for you and your guests. 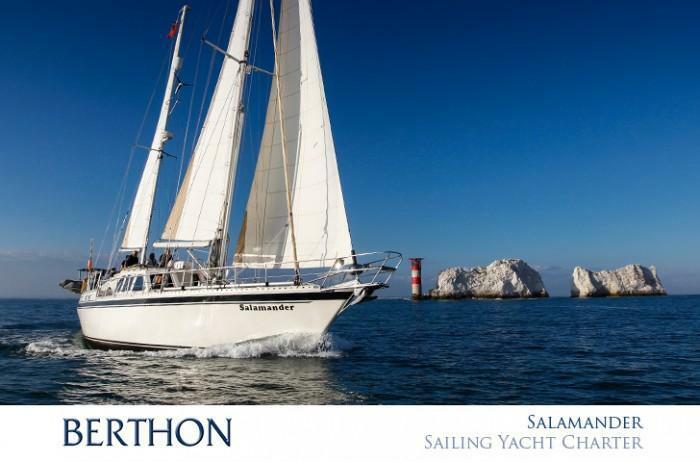 SALAMANDER is a 58 ft luxury sailing ketch which can cater for groups up to 12 guests on day charter or 6 guests who may wish to passage further and overnight. The vessel is fully equipped to MCA standards and is comfortable and seaworthy for all voyages. She is crewed by a Captain and operates with 2 or 3 crew depending on the scope of the adventure. SALAMANDER is the ideal yacht for a day out with guests and friends and is often used for special events such as birthday celebrations (special cakes are baked which sounds fab). For the more adventurous sailors the yacht is available for longer coastal cruises and overnight passages to France and beyond. Contact – Chris & Sue Dixon White. BELLA is a 50ft Grand Soleil cruiser racer, which can cater for crews of up to 10. Boasting considerable diversity – she can be used for active racing events in regattas and offshore races or she can be sailed gently from bay to bay in cruising mode. BELLA’s busy schedule includes passages to continental Europe and plenty of action in and around the Solent. Suitable for experienced sailors or beginners alike, BELLA is equipped to MCA standards and is ideal for cruising and racing groups who will love her modern and comfortable interior. BELLA is also a popular choice for teambuilding and corporate hospitality events with a difference. BELLA boasts hearty cooked breakfasts and evening meals plus a wide selection of cold lunches. Her crew like to ensure that all their guests are well looked after for the duration of their stay. The yacht is well known on the international racing circuit and participates in both short and long distance performance events, making her available for charter in exotic locations too. She has competed in transatlantic passages such as the Atlantic Rally for Cruisers (ARC), from Gran Canaria to Antigua; Berthon is the preferred broker for ARC. And now something completely different – a fishing boat! GREAT ESCAPE is a modern fishing boat built by Aquastar – at 43ft she is MCA coded for 12 anglers and can foray at distances up to 60 miles offshore. With modern electronics she is fully equipped to hunt out those elusive catches on reefs and banks, to off shore wrecks and specialist marks. Baits, rods and tackle can all be supplied or you are welcome to bring your own. Her large deck and wheelhouse makes her a roomy platform from which to fish with space and comfort. Day rates are available and use for events are negotiable. GREAT ESCAPE can also be used as a platform for other activities such as watching firework displays, regatta viewing and all that good stuff. We are delighted that this diverse fleet have chosen to make Berthon their home base, and we wish them continuing success in their business. Please do contact them for all the griff if you’re thinking of a charter of any description as they are the experts and it is not our bag. All reputable charter companies have proper insurance and their yachts are correctly coded by the MCA. Wherever you’re thinking of chartering whether in sunny Lymington or further afield, please always read the very small print.